Does anyone have any tips on how I can inlay a series of geometric lines onto a warped 3D surface (either a subdivision shape or NURBS)? but the images I am showing is just a texture map. I want actual selectable lines and surfaces in the selected pattern. The only way I can thing of doing this, and it would only work in a single plane, is to trim and stitch everything together. Quite labor intensive. though it sometimes works to take a group of your trimming objects and apply the process. Another problem with this would be that it is merely projection, the "mapping" would not follow the curvature like a UV map would. this will cause stretching of the pattern. the more drastic the curvature, the more drastic the stretching. Pretty sure the process would not work in your other planes however, as the trim lines would have no way of matching up against the other planes. There is a tool for mapping a vector or curve onto a surface. Don't really use it though. I will have to hunt to see it. and not sure if it would be function for what you want. but I will see. Try the "Parametric Map" tool in the "Specialties" pallet (the one with the stair tools). You may be able to group your pattern using this tool. Not sure, as again I really never use the tool. Thanks for the suggestions. I can see what you mean about the trim and splice option. I could use the Slice tool, but you are right the pattern would not follow the two directional curve shape like a UV map. 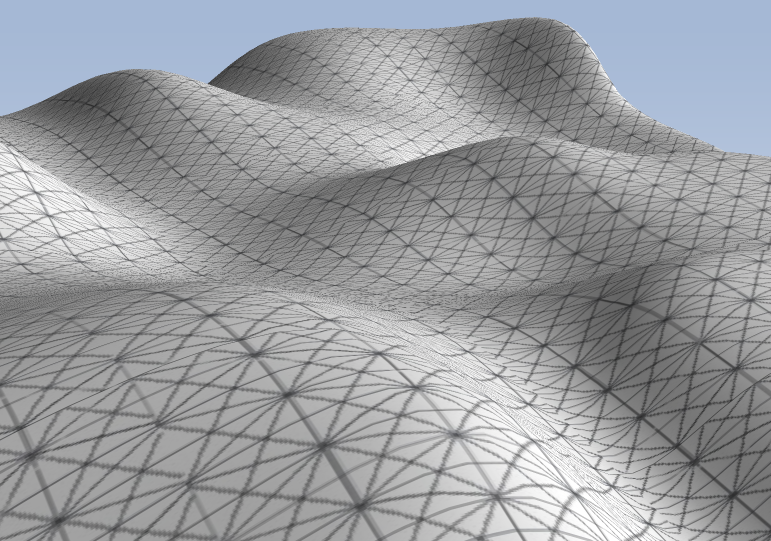 I will give the Parametric Map tool a shot. I suppose I could also inlay the pattern in the 2D flat plane first, then go into subdivision. That would warp the pattern, but maybe that is ok. It was certainly easier to subdivide the surface using only a simple grid to "push/pull" than it would be with a complex pattern inlaid. Parametric tool is totally working! Thanks Chris!!! or at least halfway there... I need to figure out how to make my subdivision object one surface. Or perhaps try rebuilding it as a NURBS object. Not sure yet. The parametric tool does what I want but only to one of the faces at a time. I set a ten by ten grid to create the object and the parametric tool treats each face as an individual object. 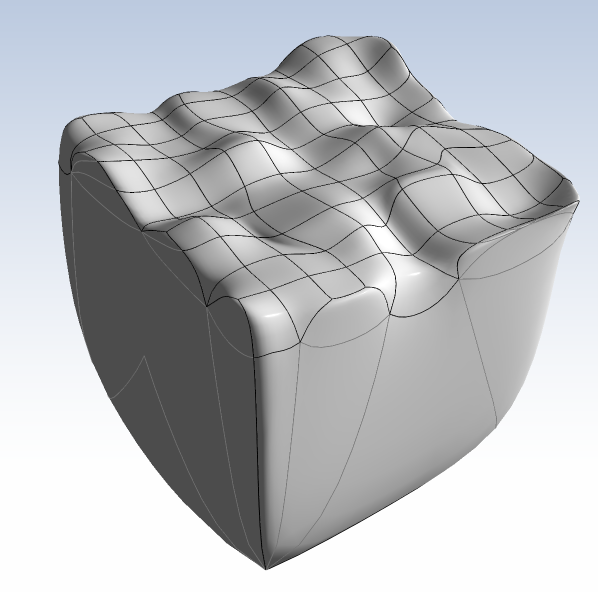 NURBS surface works great with the Parametric tool. 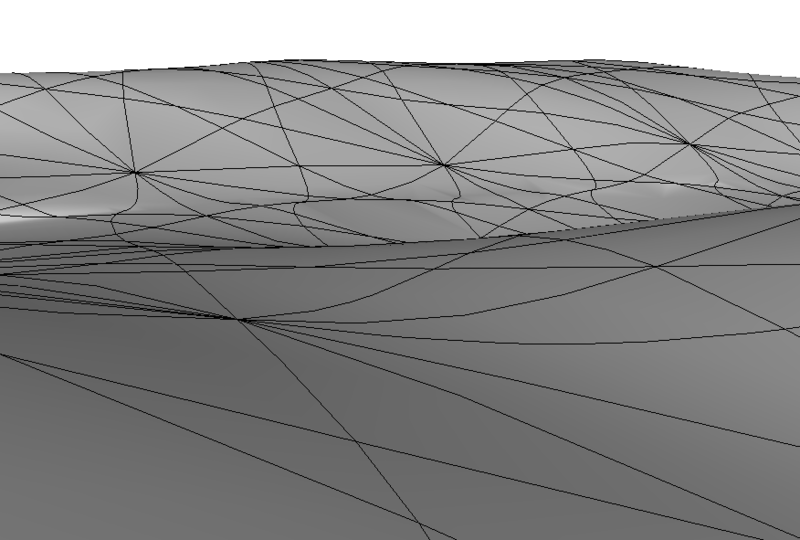 I rebuilt the curved surface as a NURBS object by using a series of lofted splines. 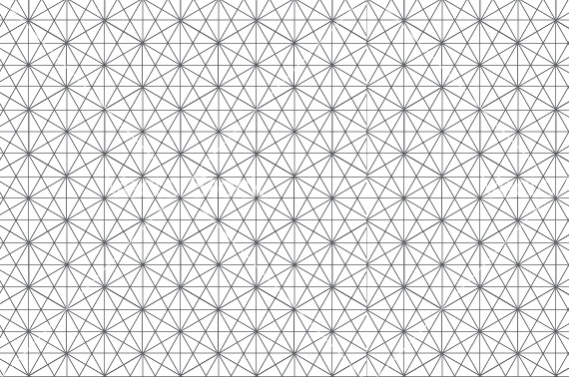 Downloaded a DWG pattern and was able to apply it to the surface with the Parametric tool easily. Thanks again! Glad it worked. I suspect it is a tool that is oft overlooked, but when needed it is indispensable. Am curious however, Horizontally the pattern stretches for the outside edges. Yet Vertically it is spaced the same as the original. If you are referring to the top view of the lines applied to the texture - yes I see what you mean. That might have something to do with the way the topography is structured. It was not something I intended to do. 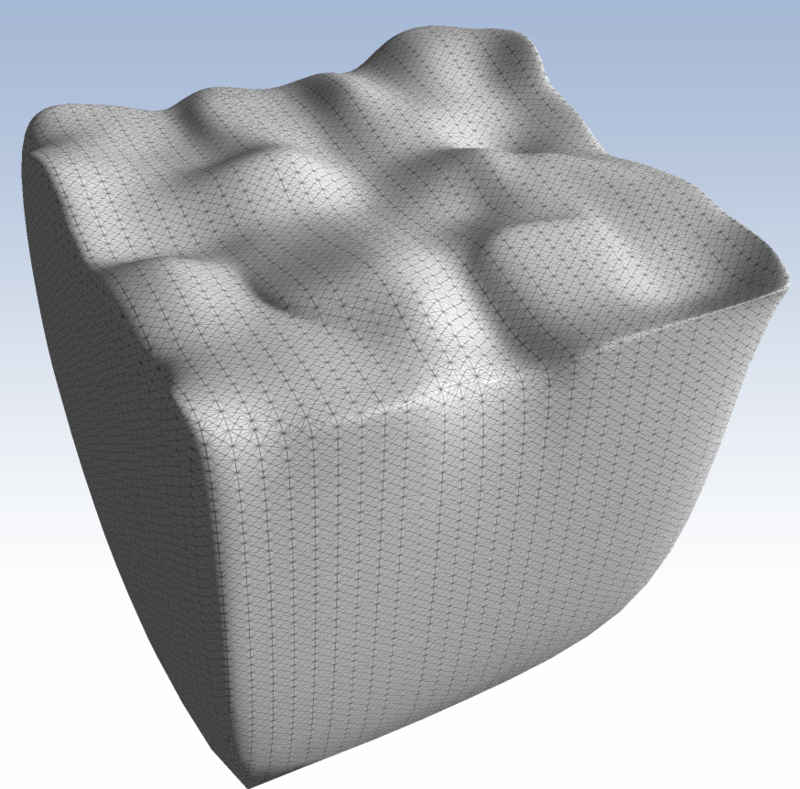 I also have not explored the Parametric tool in depth. There are a few options, which might change how the lines get applied.